Welcome party for Minami Takashi’s laboratory! 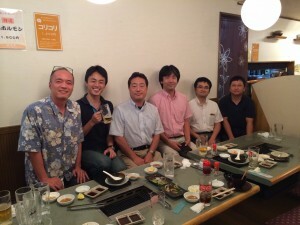 We held a welcome party for members of Minami Takashi’s lab, which was established at the Faculty of Life Sciences Kumamoto University in September. We enjoyed SAKURA YAKINIKU and drinking with Dr. Masaya Baba from IRCMS and Dr.Yuichiro Arima from the Department of Cardiovascular Medicine.